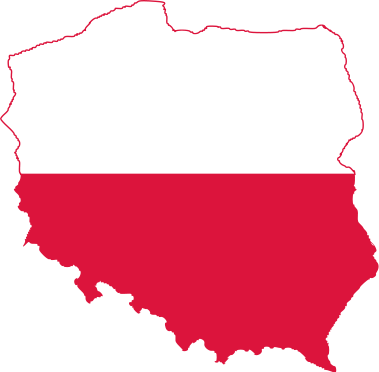 Polish is a language of the Lechitic subgroup of West Slavic languages, used throughout Poland and by Polish minorities in other countries. The Polish alphabet consists of the basic latin scripts and certain letters with diacritics (ć, ń, ó, ś, ź, ż, ą, ę, ł) and the letters q, v and x, which are used only in foreign words, are not considered part of the Polish alphabet. Apart from Poland, other countries with important Polish communities are The United States, Germany, UK, Brazil, Argentina, Belarus, Canada Lithuania and Russia. The Polish language became far more homogeneous in the second half of the 20th century, in part due to the mass migration of several million Polish citizens from the eastern to the western part of the country and population transfers that followed World War II. Polish grammar is similar in most respects to that of Russian, and those who have studied Russian will find its grammar much easier to grasp. Polish is a highly inflected language, with relatively free word order. There are no articles, and subject pronouns are often dropped. Nouns may belong to three genders: masculine, feminine and neuter. Adjectives agree with nouns in terms of gender, case and number. It is said that Polish is one of the more difficult languages to learn because of its tongue-bending pronunciation, complex gender system, seven cases, aspect as a grammatical category of the verb and a tendency to avoid internationalism for “real” Polish words. At least consonants sound almost like they do in English and the stress of a word is always in the penultimate syllable. If you learn Polish, you are half way closer to learn other languages such as Czech, Slovak, and Sorbian. Belarusian, Bosnian, Bulgarian, Croatian, Macedonian, Russian, Slovene, Serbianand Ukrainian would be also easier to learn. There are around 600.000 Native Polish speakers in The USA. Polish is made up of a few dialects including Little Polish & Silesian. Polish is the 29th most spoken language in the world, and is one of the most widely spoken Slavic languages. In 1475, the first Polish language book to be printed in Poland was issued in Wroclaw. Komunikacja could sound like Communication, but it means public transport in Polish. Aktualny refers to something valid or topical, while actual is said faktyczny. A knot in Polish is a kid or wick. If you actually want to say knot you shoud use the word węzeł. The English word complement is said uzupełnienie in Polish and komplement means compliment. Lot can mean in Polish either dużo (many) or parcela (piece of land). If you actually say lot, then you are referring to a flight. Something eventual in Polish is ostateczny and ewentualny is possible or potential. Here, at the University of Almería, you can find Polish courses in our “centro de lenguas”. Do zobaczenia and visit us on Facebook ! !